Panathinaikos officially announced that Xavi Pascual will be the team’s new head coach after signing a three-year deal. 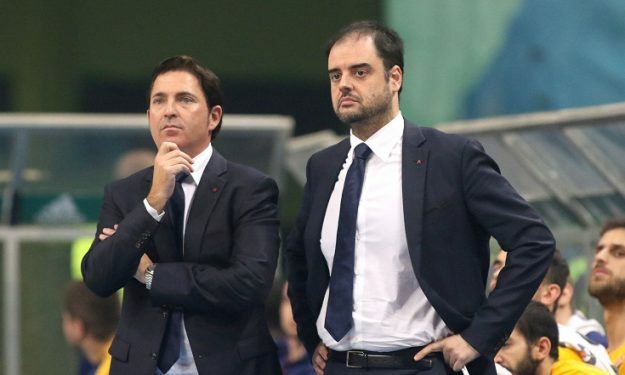 The Spanish coach has been the top candidate in a list of prospect coaches, after the resignation of Argiris Pedoulakis. While initially there was some distance between the two sides, Panathinaikos‘ management covered all requests of the Spanish coach and struck a deal with him. Pascual was previously head coach of Barcelona for eight years (2008 – 2016) with which he has won the 2010 Euroleague, four Spanish League titles (2009, 2010, 2012, 2014), three Spanish Cups (2010, 2011, 2013) and four Supercup trophies (2009, 2010, 2011, 2015).